The Best Western Plus Pepper Tree Inn’s Santa Barbara accommodations feature Hacienda-style furnishings and private patios or balconies overlooking the gardens and pool courtyards. Amenities include free, high-speed Wi-Fi, seersucker bathrobes, flat screen TVs with HBO, DVD players with free rentals, and private patios or balconies. Reserve Santa Barbara lodging on State Street today. Stay in comfortable State Street accommodations in Santa Barbara featuring free Wi-Fi, patios or balconies overlooking the gardens and flat panel TVs with HBO and free DVD rentals. 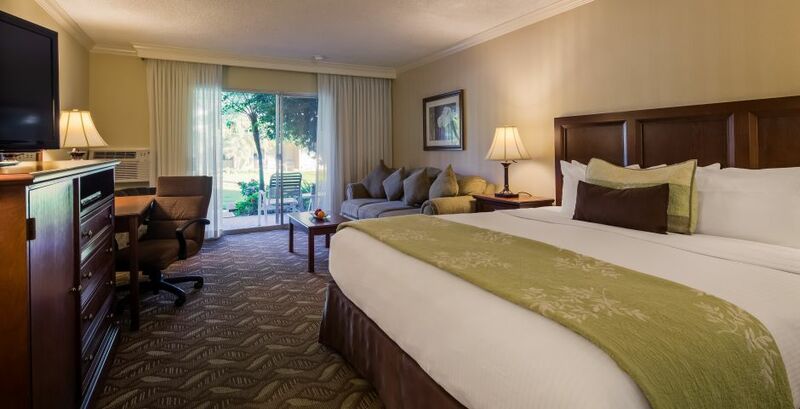 Our King guest room features a double pillow top bed, a sitting area and free Wi-Fi. Sleep soundly on a Double pillow top bed topped with 300-thread-count sheets. Room features free Wi-Fi. 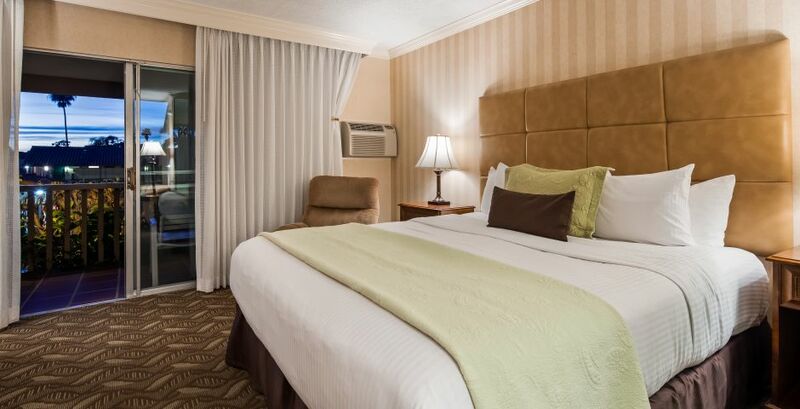 Enjoy classic and comfortable lodging on State Street with a King bed, sitting area and free Wi-Fi. 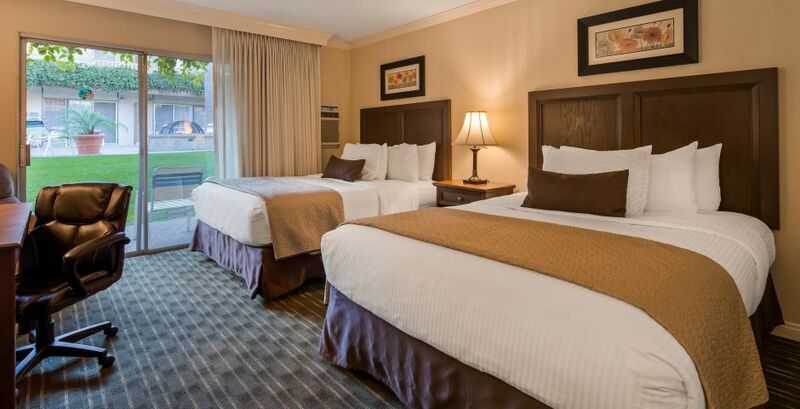 Our double Queen room features pillow top beds, a relaxing sitting area and free, high-speed Wi-Fi.